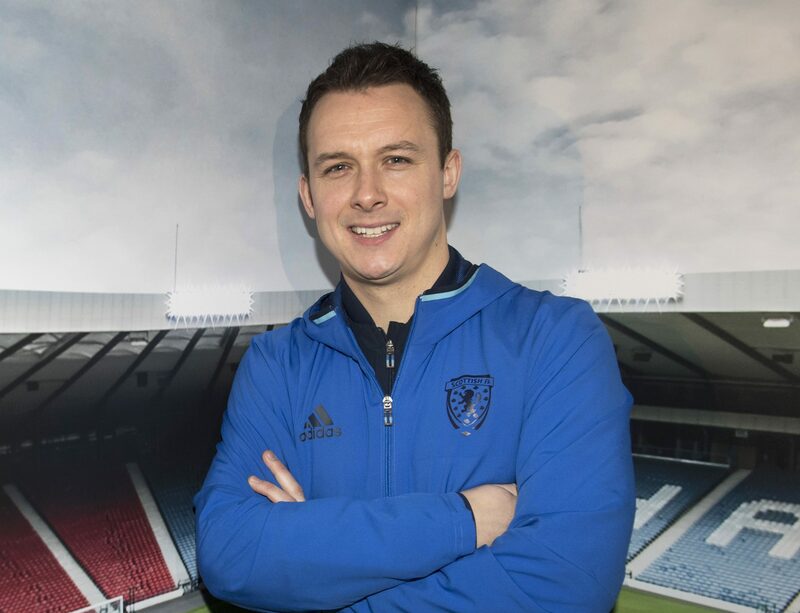 Scotland head coach Scott Chaplain. Head coach Scott Chaplain says Scotland are “under no illusions over the task ahead of us” as he leads his side into World Cup qualifying. Chaplain’s charges go into this week’s triple header as underdogs in what is a difficult preliminary round on the road to Lithuania in 2020. Group F sees the Scots as bottom seed travelling to Bosnia and Herzegovina this week to face Turkey and Switzerland as well as the host nation. They kick off their first-ever attempt at Futsal World Cup qualifying on Tuesday evening against Turkey in Zenica at 7pm UK time and despite the odds being against them, the Scots are looking forward to testing themselves against experienced European opposition. And coach Chaplain is keen to see some improvement from their previous trips to Sweden and Georgia in 2015 and 2017 respectively. Chaplain told Pivotal Sport: “It’s a big challenge ahead but we’ve been well prepared with the amount of games we’ve played. We’ve played seven matches in the past year which is great and should stand us in good stead. Former Dundee Stars, Dundee Futsal and Montrose player Lee Cameron has returned to the squad. “Like I said to the players before the Home Nations, it’s about improving on your previous performances. “We’re not going there with any unrealistic claims that we are going to win the group or anything but if we can improve on our two previous trips abroad that’d be great. “If we could get our first result, maybe a draw or our first win, but points on the board then that would be great. Scotland go into Group F on the back of a mixed display at December’s Home Nations tournament in Northern Ireland where they finished third. Though their preparation has been good ahead of the trip, Chaplain knows just how tough it will be for his side. He added: “It will be a step up from the Home Nations, especially the first two matches against Turkey and Bosnia who are both high up in the rankings. “Bosnia are the No 1 seed in the group and are the hosts which will make that one a difficult match. “We actually played Switzerland two years ago over in Georgia so we know a bit of what to expect from them. After Tuesday’s clash with Turkey comes a testing contest in front of a partisan crowd against hosts Bosnia and Herzegovina on Wednesday (7pm ko) before finishing the group against Switzerland on Friday (4pm ko). Subscribe to Pivotal Sport via Email. Pivotal Sport is the go-to place for under-reported sports in the UK.